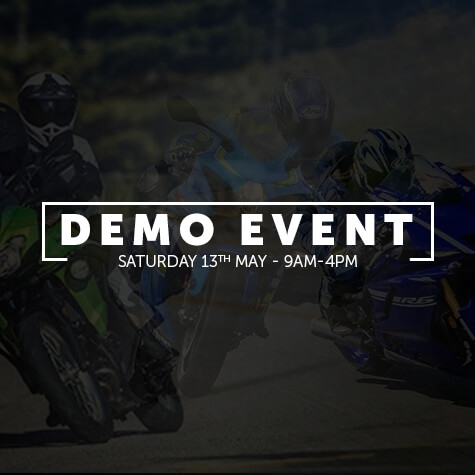 Prepare for Saturday 13th May where the Kawasaki, Yamaha and Suzuki Demo Event will kick off the weekend in association with the local Institute Of Advanced Motorcyclists (Roadsmart) and Wirral Advanced Motorcyclists. You can join us at our showroom from 9:00 am until 4:00 pm where you will have the opportunity to meet and chat with some of the best, advanced riding course instructors on the Wirral. While you're here, you can also take advantage of some fantastic special in-store offers in our Clothing & Accessories department. To participate in the event and to test ride any of the following new motorcycles, contact our dealership to book for this upcoming event. Please note that all test rides will be under controlled circumstances with permitted supervision.